Ted is the fourth Reardon to own and operate the Reardon Insurance agency. The agency was founded by Ted’s great-grandfather William Reardon in 1919. He is a native of Medway MA, having graduated from Medway High School in 1978, where he was a varsity athlete in the Track and Cross County teams. In 1976 he achieved the rank of Eagle Scout as a member of Boy Scout Troop 748. In 1982 he graduated from Providence College with a B.S. degree in Business Management. After spending four years as a Professional Liability Insurance underwriter, he joined the Reardon Insurance Agency in 1987 as a commercial insurance salesman. 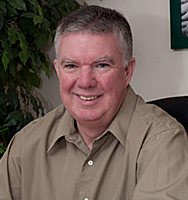 In 1994 Ted purchased the Reardon Insurance Agency from his parents, Edward and Ann Reardon. Ted’s professional education includes obtaining his insurance broker’s license in 1984. He then obtained the designation of Certified Insurance Counselor (CIC) in 1991 which involved 125 hours of classroom time, and 5 rigorous tests which he completed in 1 year. In order to maintain the CIC designation, Ted takes 25 hours of continuing education classes every year. In 2010 Ted achieved the Accredited Advisor in Insurance designation (AAI) which involved 72 hours of classroom time and 9 rigorous exams. Currently, Ted is working toward his Chartered Property Casualty Underwriter designation. Karen has been with Reardon Insurance since 2014. She is responsible for client billing issues, claims, and policy changes. 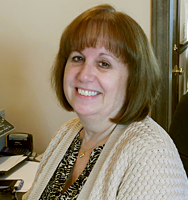 Prior to working for Reardon Insurance, Karen worked in retail and office settings.